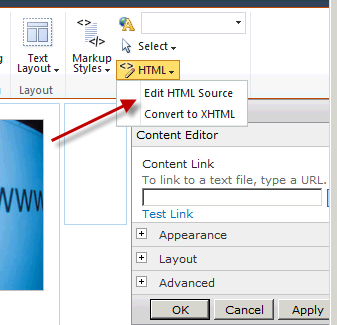 How to edit Content Editor Web Part with HTML Text editor in SharePoint 2010? In SharePoint 2010 Editing content Editor Web Part is kind of tricky. 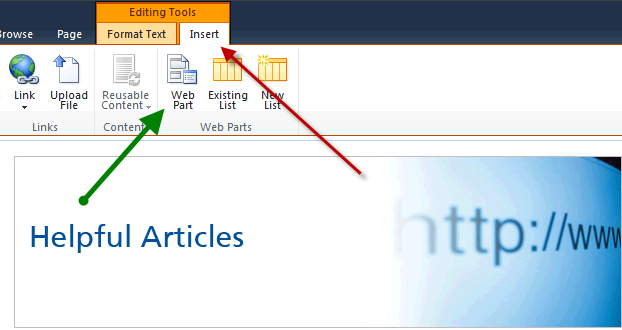 I was unable to find the source and HTML Text editor in content Editor Web Part Property section in SharePoint 2010. From Format Text Tab on the ribbon toolbar, I saw the HTML drop down list and selected to edit HTML source but the source I insert is not going into the SharePoint 2010 content editor web part at all. 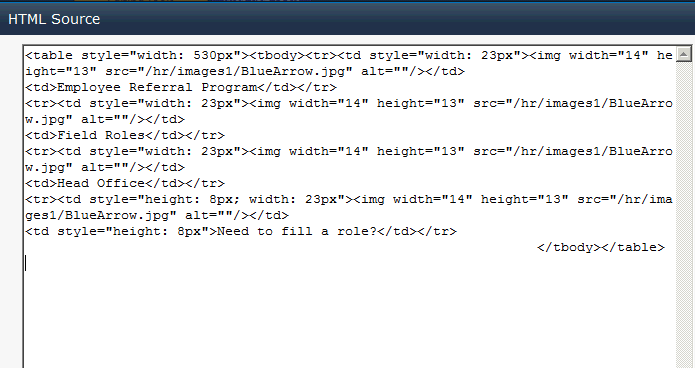 After playing around for while, I came to know how to edit the content editor web part. 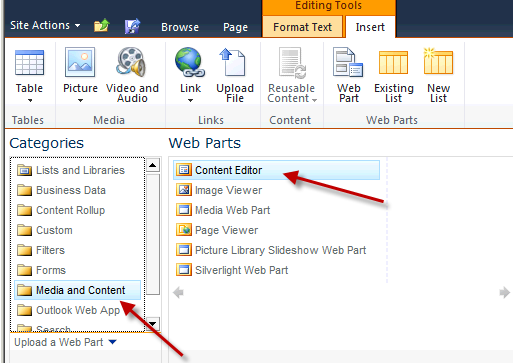 I hope this will help someone who is having issues with SharePoint 2010 Content Editor Web Part. This is really good. I was having problem but your post helped me to understand how it works. Excellent, I was looking for this! Thanks!! I also got error when I try to add video file in Content Editor Web part. That’s why I used different method to add flash video to SharePoint. If you find a solution for content editor web part, please let me know. Is it going to be back soon? We do not have the options Editing tool? Sorry for a silly question then, what is the use of SharepointDesigner 2010 in this case? I have my site, I just needed to edit 1 of the pages — and did not succeed in finding anything on this “beautiful” prog. The previous ver (2007) allows me to do it (just File/Open etc), edit file and save it — but this ver does not. Is it on purpose or I simply cannot find smth on its Ribbon etc? By the way, what is the use of this “Ribbon”? For 20 years I like everybody else had Win GUI — what was the reason to change it? !